Shipping and handling charges are additional to catalog product prices and are based on the total value of your order. Standard shipping includes packing, packaging materials and guaranteed delivery of all shipments via FEDEX Ground Service. Orders are shipped Monday thru Friday only. Orders do not ship on Saturday or Sunday. ALL EXPEDITED ORDERS PLACED AFTER 1 PM WILL NOT SHIP UNTIL THE NEXT BUSINESS DAY. 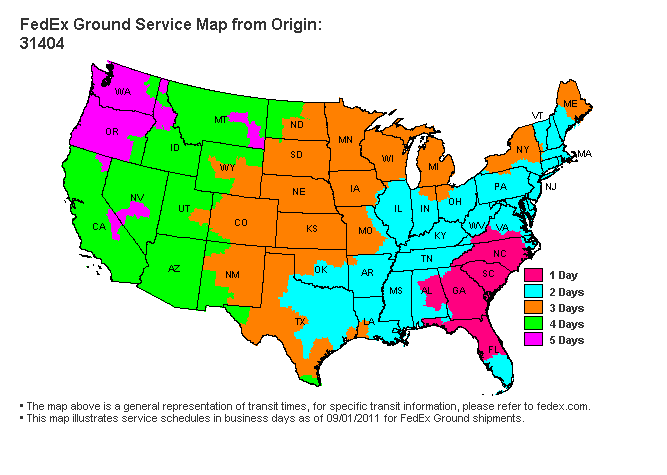 GROUND shipping in the United States includes lower 48 states ONLY- does not include Alaska, Hawaii or APO. All orders that ship GROUND SHIPPING will ship either FedEx Ground Residential, FedEx Ground Commercial or USPS Priority Mail. SHIPPING method is up to the discretion of Spices Etc. For rush orders, FedEx Next Day, 2nd Day or 3rd Day shipping is available at additional cost. PLEASE REMEMBER FedEx does not deliver or count Saturday as delivery day unless the package is shipped FedEx Next Day Air Saturday Delivery. Example- If you ship on Thursday FedEx 2 Day Air, your package will arrive on Monday because Saturday is not counted as a delivery day. Spices, Etc. promises you that if you are not 100% satisfied with any item you buy from us, we will cheerfully refund the full purchase price, exchange the product or credit your account. We mean it! Visit our 24-hour on line store at www.spicesetc.com/. Our online store has substantially more items available than our print catalog. The site is very easy to operate and it has the highest level of security. Call our customer service department at 800-827-6373. Our office hours are 9:00 AM to 4:00 PM Eastern Time, Monday thru Friday. We will extend our office hours during the holiday season. For FAX orders, please call 1-800-827-6373. We no longer accept faxes. We accept credits cards, money orders, cashiers checks or personal checks. For your convenience, we honor MasterCard, Visa, Discover and American Express credit cards. You may also pay with your personal check or money order made out to Spices Etc. Our customer service department is available to answer questions or to assist in selecting products or a gift or other questions. Please us toll free at 800-462-3220 between 9:00 AM and 4:00 PM Eastern Time Monday through Friday. We extend our office hours during the holiday season.